No, I haven’t lost my mind. I know; I totally spelled it wrong. But that was the first thing I heard in my head (and spelled incorrectly) when I saw THESE things!! 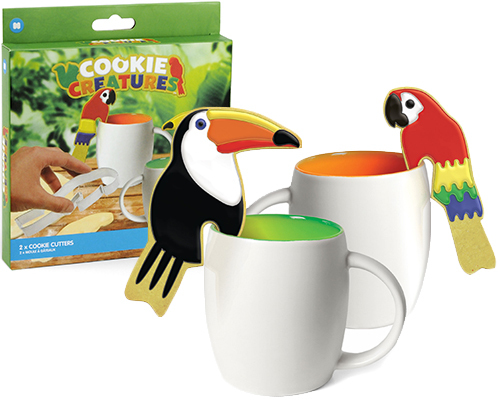 How great would it be to have a hot cup of tea (or coffee, or cocoa, or cider) with Birds from the Tiki Room? These are perfect for my Adventureland kitchen!